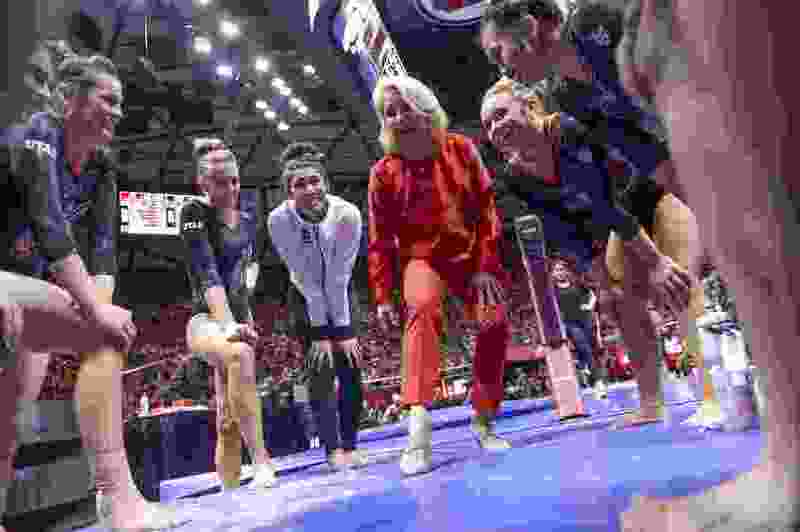 Utah’s gymnastics team had better hope the saying ‘the third time is the charm,’ holds true for them, or else their effort in the NCAA Championships could end on the first day. The Utes are in the afternoon session along with UCLA, LSU and Michigan when the NCAA Championships begin April 19 in Ft. Worth. The evening session consists of Oklahoma, Denver, Georgia and Oregon State. Unlike in the past when six teams advanced to the finals, just two from each session will move on to Saturday’s finals. The new format means the Utes likely need to beat UCLA or LSU to earn one of the top spots. The Utes have lost to both teams twice this year. The Bruins beat Utah in the regular season and the Pac-12 Championships while the Tigers beat Utah in a quad meet in February and at the recent NCAA regional meet. Utah beat the Wolverines in the Huntsman Center on March 2. Even though the Utes are a combined 0-4 against the Bruins and Tigers, the recent losses were close ones, giving the them some encouragement. There is also the notion that anything can happen, something that was reinforced with the regional championships in Corvallis, Ore. There, the fourth-ranked Florida Gators had two falls and failed to advance to the NCAAs for the first time since 2000. Utah is the only team in the country to qualify for all 44 national championships. This year’s version of the Utes does have consistency on its side, particularly now that the issues on balance beam seem to be behind them. The Utes finished their regional effort on the beam and hit 49.35 under pressure. They went 24-for-24 in the first round of the regional championships and their only mistake on Saturday came from MyKayla Skinner, who was battling an ear infection and fell for the first time breaking her streak of 161 made routines. That first-day score from regionals was just 196.8, a combination of a flat performance and tight judging. Marsden noted no such flat performances will cut it at the NCAAs. Just as they did during the second day of regionals, the Utes will start on the floor.